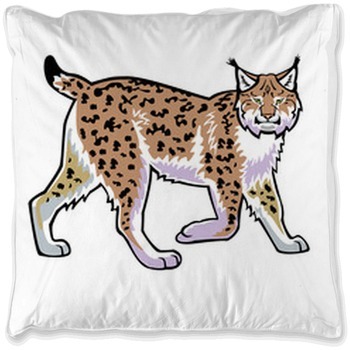 The bobcat is a wild cat that has a great look and is very intense. 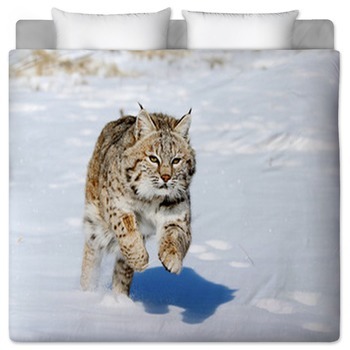 Our bobcat bedding sets feature this great animal in action. 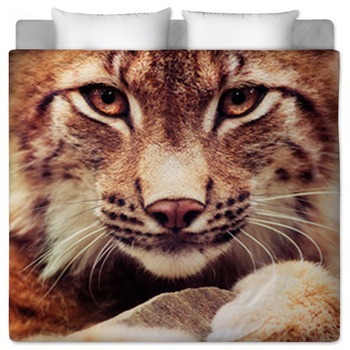 We have some great bobcat comforter and bobcat duvet cover designs that feature images of the bobcat in a number of situations. 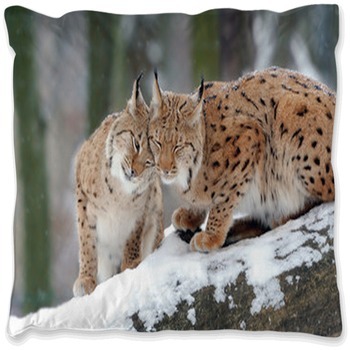 We have scenes of bobcats in snowy fields, in grassy spots and much more. Their white and yellow coats are very beautiful and attractive. 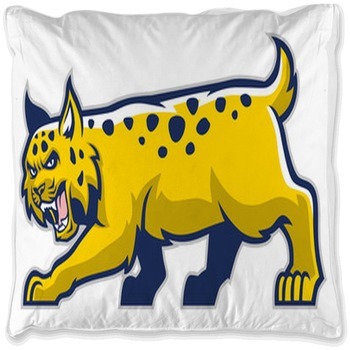 Many of them have spots that are unique and scattered around their bodies. 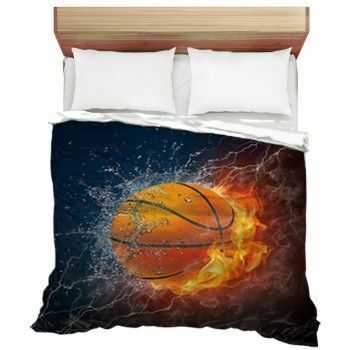 These details are all clearly visible on each of our bedding designs. 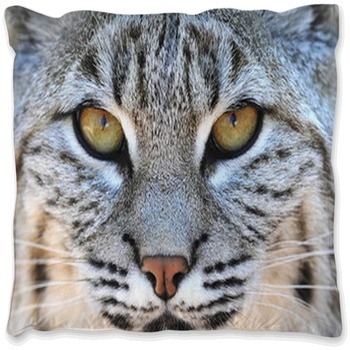 Our bobcat shots include many scenes of them in action but some of the best ones that we have are head shots. 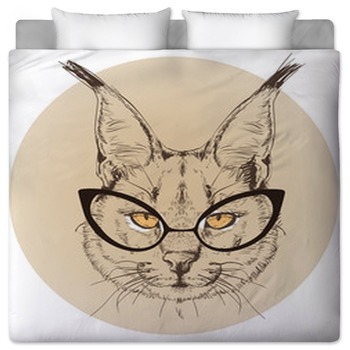 These head shots include great scenes that feature their strong muzzles and intense looks on their eyes. 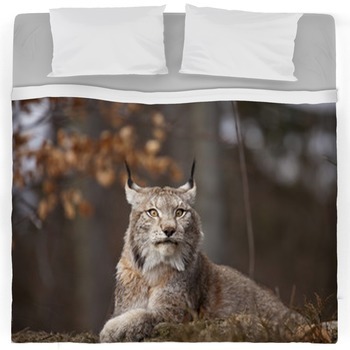 These strong looks make for something thrilling to have in your bedroom decor. 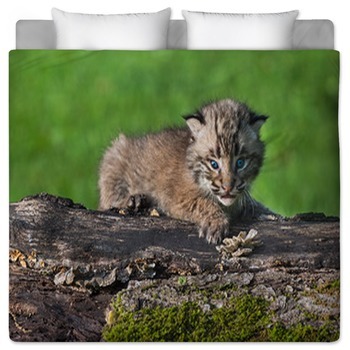 The intense shots that we feature are certainly thrilling and fine to have. 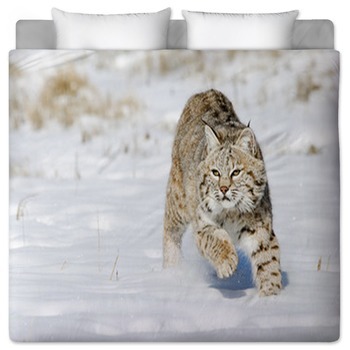 We focus on winter scenes for the most part as they bring out the most in a bobcat’s fine coat but we do have plenty of other designs too. 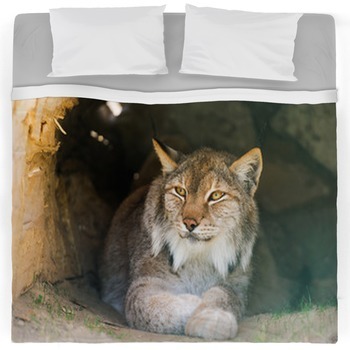 Each of our bobcat bedding sets is made with some great designs that showcase the beauty of the bobcat. 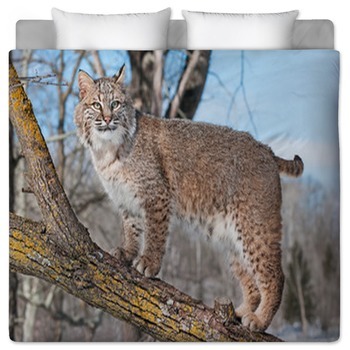 Get the same design for your blanket to match your bobcat bedding for years! 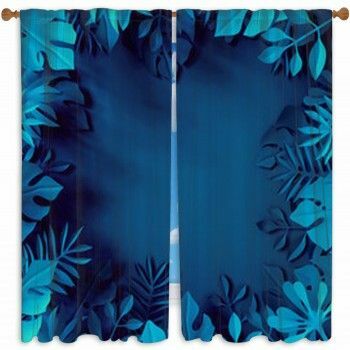 We use only dyes that will last for years without being at risk of wearing out in some manner.